The Latin Mass in Queens has a new home! 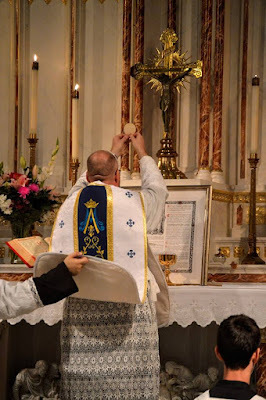 On the Feast of Our Lady of The Holy Rosary, we celebrated our first Mass at St. Josaphat's in Bayside [Queens, New York City - Diocese of Brooklyn]. The high altar was renovated, and is still in the process of renovation, for the full celebration of the pre-Vatican II liturgy and sacraments. In addition to weekly Sunday Mass, Traditional Mass will be offered on the evening of Holy Days, First Fridays and First Saturdays.